Yes, when he was 2 years old, we were cuddling/wrestling in bed. He zigged, I zagged and BAM there you have it. He is currently almost 7, a little man with a heart the size of Dallas and Fort Worth. He has taught me so many lessons. After three daughters and one granddaughter, he is my first boy. He can bounce off concrete and keep going, is quite the wheeler dealer in monopoly and loves to fall asleep watching TV in my lap. So a special guy needs a special stocking….. I love stockings from Liz Goodrick Dillon. To date I have finished 16 of them. For Trace it was a study in turkey work and beading. I wanted his stocking to be elegant, but then also something for concrete bouncing superhero. 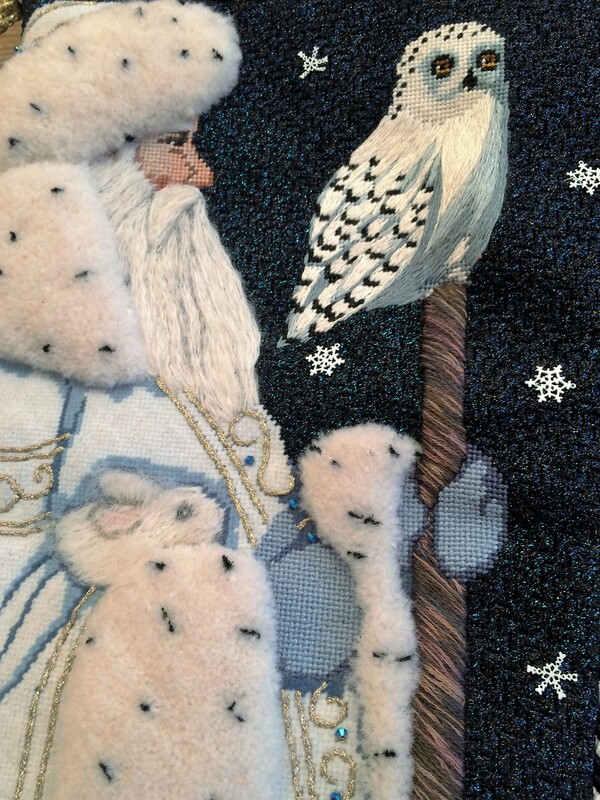 Santa’s coat called for a lot of beading and couching down Krenik threads. Turkey work is tough for a lot of people, but there is nothing like it for effect. My only secrets are: Don’t give up, make your loops big and cut a little at a time…you can’t put it back on ! So if you have bigger loops, when you cut them you can actually carve the thread. Over the next couple of blogs you will meet more of my cast of characters, our escapades and adventures and of course, their stockings and other projects. 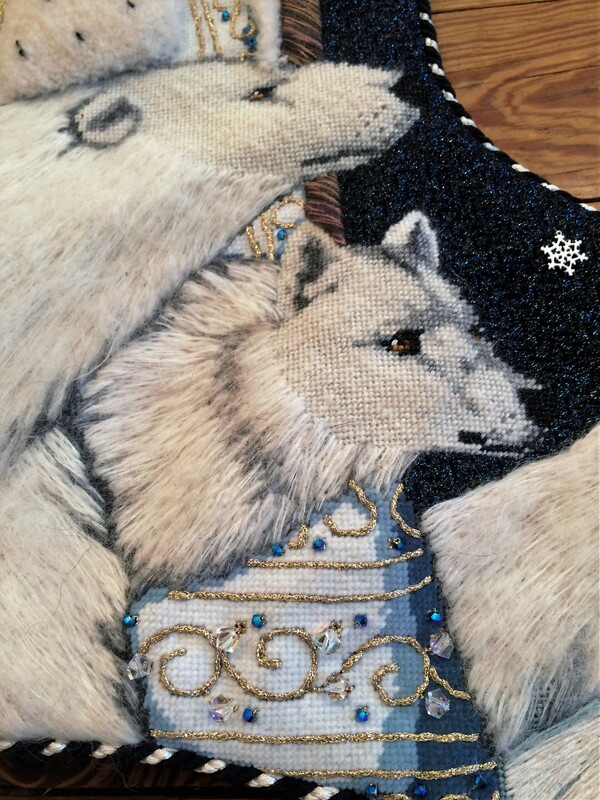 Please remember that all canvases can be purchased from my website pasttimesneedlepoint.com or by calling 361.572.0088.